For better or for worse, the last “Game of Thrones” season is almost upon us. While we're waiting around for season 8 to begin, the least we can do is watch as many episodes as necessary to fill the void. Season 8 starts April 14, and we're ready - we've been ready since 2017. Even if we hate the ending ("Sopranos," anyone? ), at least we'll have the memories of all the good and the bad - and mostly the very satisfying deaths of the show's most hated villains - to keep us warm. Here are some of the best episodes to recap "Game of Thrones" before the show's last season. The episode where it all began. This is the episode for introductions. Take a look back on how everything went downhill so fast, from the reveal of Jamie and Cersei's incestuous affair to Bran being pushed out the window, thus handicapping him for life. This episode is a classic for a reason. This one was tough, and unfortunately, as you'll see with this list, the most memorable episodes are typically the ones where someone dies. I'd argue the best ones are when the villain dies, but unfortunately the patriarch of Winterfell's death is too iconic and heartbreaking not to mention. "Where are my dragons?!" Daenerys baby dragons are stolen in Qarth, and she is obviously upset. Ygritte and Jon’s romance begins. It's also the episode that brought us, "You know nothin', Jon Snow." Melting. This is the largest battle in the War of the Five Kings so far in the series. Consider this part of your training for the "Battle of Winterfell," a.k.a. the longest consecutively filmed battle in film history, coming in season 8. Also more commonly known as “The Red Wedding.” Yeahhh. What was once supposed to be a nice wedding between Edmure Tully and Roslin Fey turns into a massacre. Shall we go through the list of all who die or would you rather just watch the bloodbath for yourself? It might be easier if you just sit through it. Godspeed. This is the last episode George R. R. Martin wrote for the show - and it may be one of the best ones because Joffrey dies! And it turns out Lady Olenna did it! Also important: Bran gets a vision from the Three-Eyed Raven which begins his travels north. 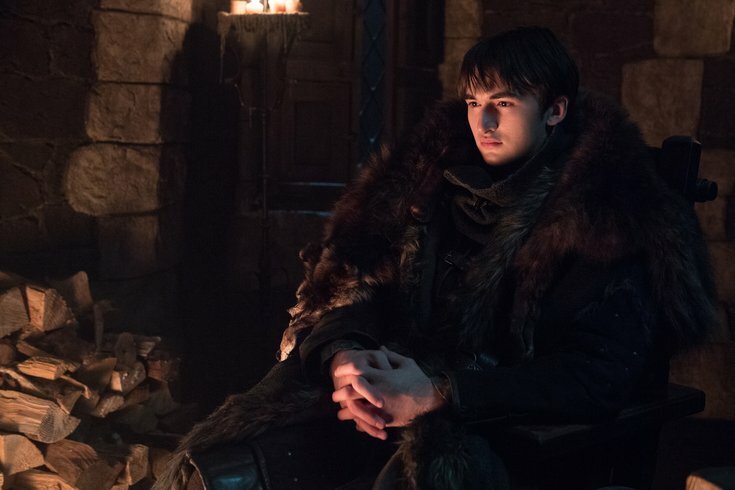 Bran finally meets the Three-Eyed Raven, in which Bran starts to learn even more about his destiny and that he is one of the last surviving members of the Children of the Forest. This episode also sets Tyrion on the path to Daenerys. Bran owns his three-eyed raven powers, and shows us how the White Walkers came to be. Also, "Hodor" is everything. Daenerys gets her ship and army with Tyrion at her side. Jon was officially named King of the North in this episode. We also find out that his birth mother is Ned Stark’s sister - Lyanna Stark and his dad is Rhaegar Targaryen. Which means...dun dun dun...he's the rightful heir to Westeros. Ramsay Bolton dies. End of story. Goodbye, Ramsay. You can also consider this part II of your training for the "Battle of Winterfell." Season 7 should be binged in its entirety, especially given that season 7 is technically the first part of the show's ending. But even though you should watch all of it, here are the two episodes you can’t miss. Jon Snow and Daenerys finally meet. Lady Olenna takes no mercy with the whole bit about her poisoning Joffrey. “Tell Cersei it was me. I want her to know it was me.” Mic drop. A lot happened in this episode, and, of course, being that it was last season's finale it should definitely get a second look before the season 8 premiere. The best moment, though? After seven seasons, Petyr Baelish, otherwise known as Little Finger, finally gets a taste of his own medicine. Most worrisome moment ahead of season 8? The Night King arrives at the wall with a White Walker version of Daenerys's dragon, Viserion. Oh dear.